Bob hairstyles are a great way to make the hair look thicker, heavier and classy. Contrary to the common belief, bob hairstyles if worn right can look very feminine and strong at the same time. Layered bob hairstyles is one example. They aren’t high maintenance at all take less than five minutes with a styling gel to set. Blond bob hairstyles look exquisite on women with fine hair. It gives a wonderful opportunity to show off your beautiful golden hair color and lush curls. 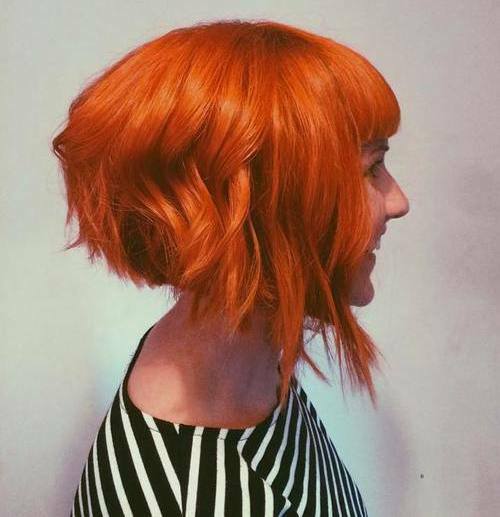 Layered bob hairstyles make it even better. It literally takes two minutes to make this hairstyle and it is perfect for every occasion. Either it’s a party at home or a formal even at your office, you can comfortably wear this hairstyle and receive lots of compliments. 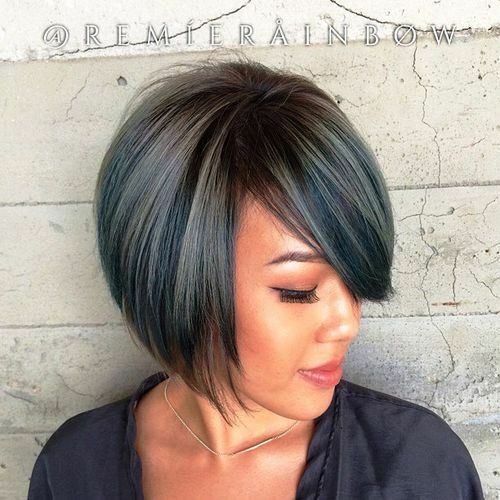 Hefty layered blaze is one of the fiercest looking hairstyles that you can look for in short bob. The blazing red color of the hair along with the slight asymmetrical layers can look wonderful on women with every type of facial structures. This is a beautiful hair style for women with pale skin and blond hair. 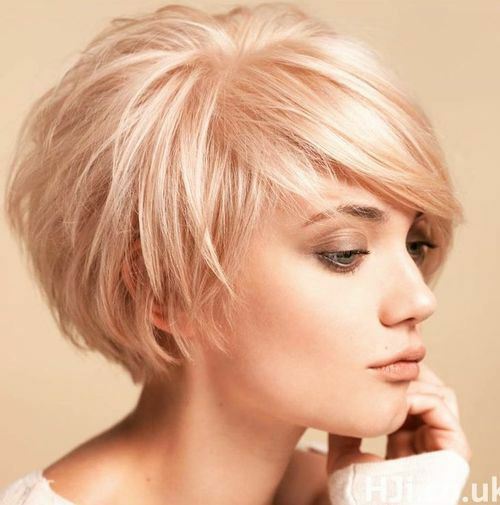 The perfect blond hair look adorable and cute with a cropped bob. This one is a classic! The casual look with an asymmetrical side swept long bangs and a layered bob on the back gives the whole personality a bold and artistic aura. The hairstyle is perfect for simply all occasions and events! The beautiful greyish mauve highlights with a layered bob haircut will make you look bold and cute all at once! The complete hairstyle looks gorgeous on women with olive skin tone and bold features. Caramel highlights always bring out the sophistication and femininity of a woman. This hairstyle is best worn with dresses and formal tops. The curls of the hair look lush while the layered haircut lifts up the elegance. This is an extremely bold and intense hairstyle. The red side swept bangs are enough to outshine the complete personality, making it fierce, bossy and cool. The side sweeping bob is an extremely adorable hairstyle for chubby and cute women. The short bangs cover the forehead from one side of the head in an elegant manner while the Asymmetricity makes the hairstyle a total eye turner. Side swept hairstyles are the best suitable with layered haircuts. This hairstyle is neither too formal for parties nor too casual for daily hairstyling. It is a perfect combination of class and nonchalance! 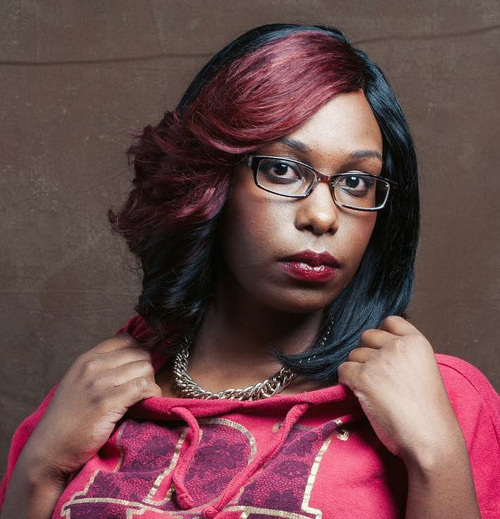 Chocolate bob hairstyles look gorgeous on women with every skin tones. 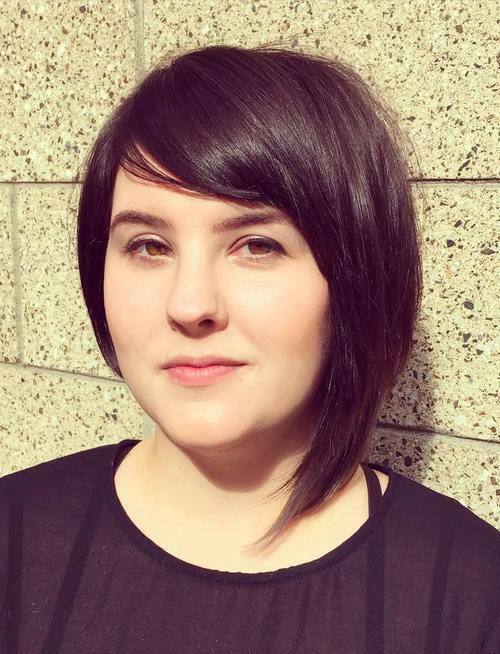 This reaping chocolate bob is an edgy haircut for layered bob hairstyles. Plus, the warmth of the color simply looks peaceful. A perfect choice for spiritual and bold women!